Flag Day is a day to show love and respect to our flag and our country. Sometimes it becomes overlooked by bigger holidays like Independence Day and Memorial Day, which also involve showing love and support for this country and those who fought for us. However, we have some fun flag day activities for your kids to have fun and appreciate the meaning of the holiday. Have the kids glue a bunch of tongue depressor sticks after they've painted them red and white for the stripes. Then give them some star stickers to put in the upper left corner of their make shift flag, and add some blue. 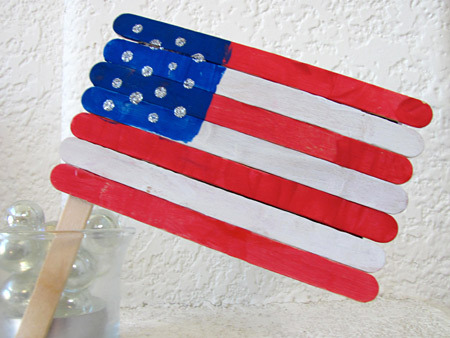 Once they put the completed craft on a plain popsicle stick, they have their very own American Flag. This craft is fun, easy and yummy. With a bunch of icing let them decorate their graham cracker to make their flag. Let them make the American Flag or a flag of their own. Once they're done, they can enjoy a sweet treat. Have the kids trace their hands on either red, white or blue paper. Then have them cut out their hand print. 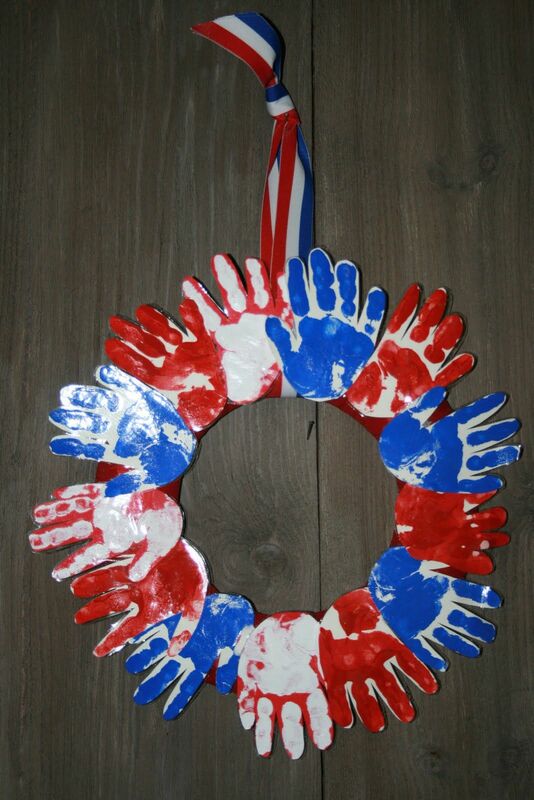 Once they're done, and there's enough to make a small circle, glue the hands together to make a red, white and blue wreath to hang in the house or their classroom. They can even paint their handprints before adding it to the rest of the wreath. If they want to bring a sweet treat into school, bake a cake with them. Have them pick their favorite flavor cake, whether vanilla, funfetti, or even red velvet and then decorate the top like the flag. 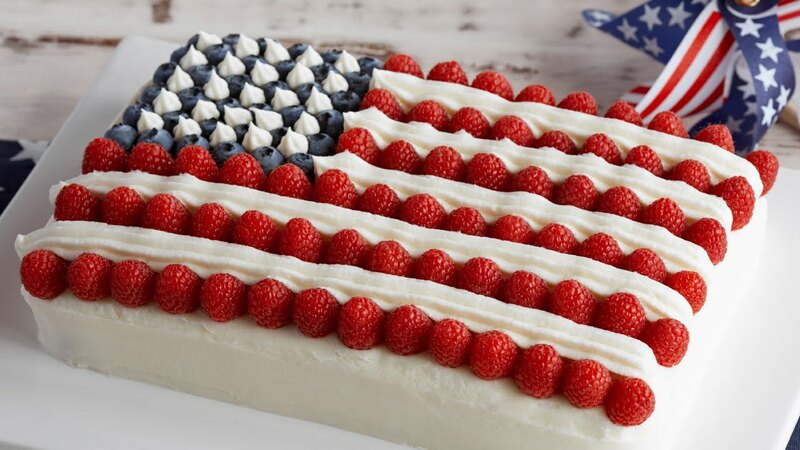 Using strawberries, icing and blueberries, it's easy to mimic the design of the flag on the top of the cake. Now they have a delicious snack to share with their class. Don't forget to check out some of our favorite red, white and blue styles shoes as well.